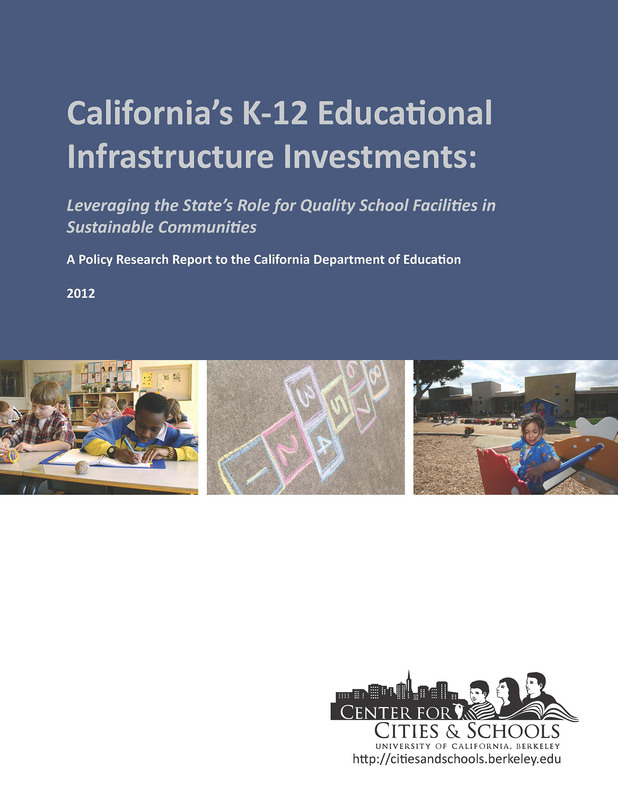 This report takes a comprehensive look at the state of K-12 school facilities in California, focusing on state-level policies and funding patterns. 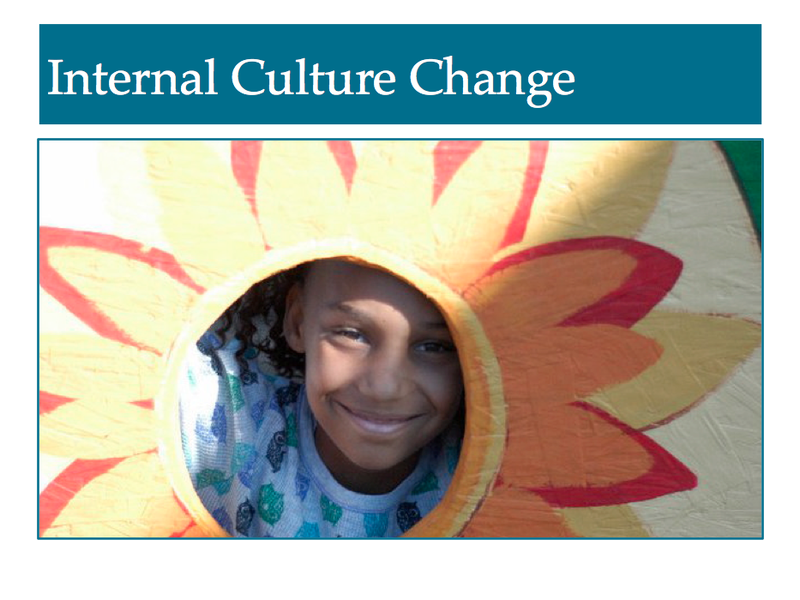 The recommendations lay out a detailed framework that re-envisions the state's role in K-12 infrastructure to appropriately support educational quality and contribute to healthy, sustainable communities goals. Our hope is that this report helps guide state leaders in aligning infrastructure investments for efficiencies and multiple benefits for Californians. 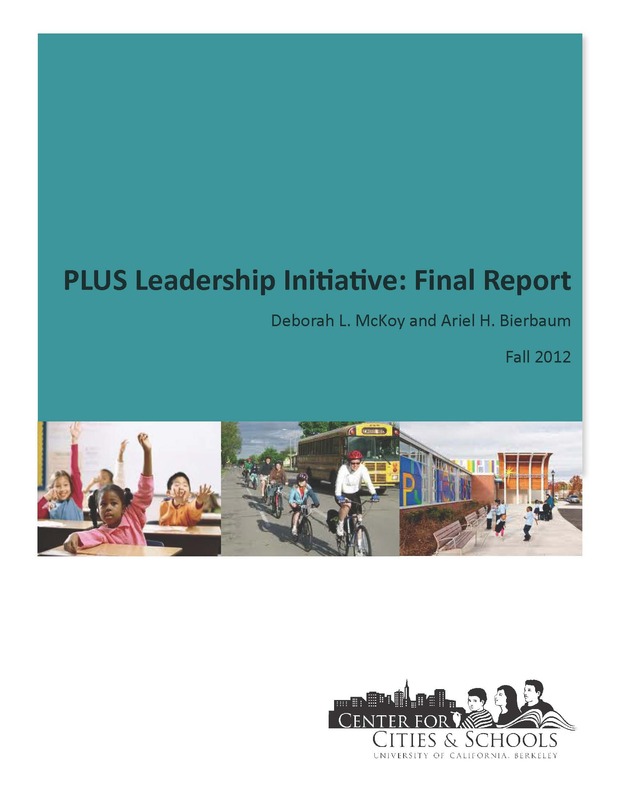 The report includes a message of support for implementation from California State Superintendent of Public Instruction, Tom Torlakson. The Center for Transit-Oriented Development (CTOD) and CC+S at the University of California, Berkeley, released "TOD 205 - Families and Transit-Oriented Development: Creating Complete Communities for All,” the seventh in the Federal Transit Administration-sponsored series of reports explaining the best practices of transit-oriented development. 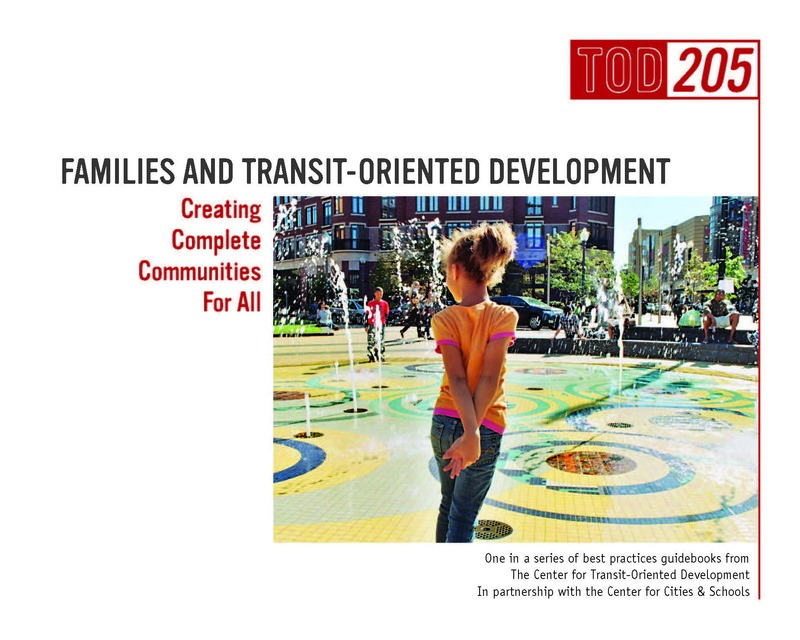 This guidebook illustrates why planningfor transit-oriented development that serves families is important for creating truly “complete” communities and how such planning can be achieved in conjunction with school stakeholders. 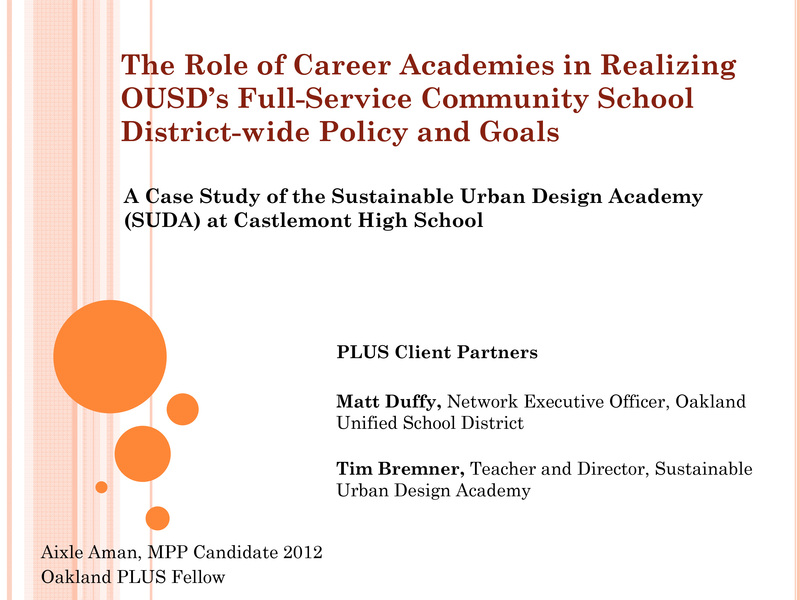 After reviewing the policy landscape and placement of SUDA within Oakland's social network, this report seeks to answer how a career academy can transform a school into a full-service community learning center and simultaneously address community development goals.